IT'S BEEN delayed, but the Teebar Clean Energy project is definitely going ahead and will bring jobs to the region. Director Greg McGarvie said the project was waiting on an operational works permit from council, but it was expected that between 60 to 80 people would be hired to work at the solar farm later this year. Mr McGarvie said it was likely the project would be connected and putting electricity into the grid by June next year. "There is quite a bit of earthworks already done," he said. He said the project was working closely with the council to get the next step under way. "The council has been trying to help out," Mr McGarvie said. He said it would be great when the first stage of the project, which is worth $80 million, was completed. "When it's completed we'll sit out there on a couple of deck chairs. We'll sit out there and say 'we did this'," Mr McGarvie said. "It's just a shame that we've had to delay things." He said when the project was finished, the panels would look like a lake, with about 212,000 solar panels covering 96 hectares. The solar panels will generate enough electricity to power between 10,000 and 15,000 houses. 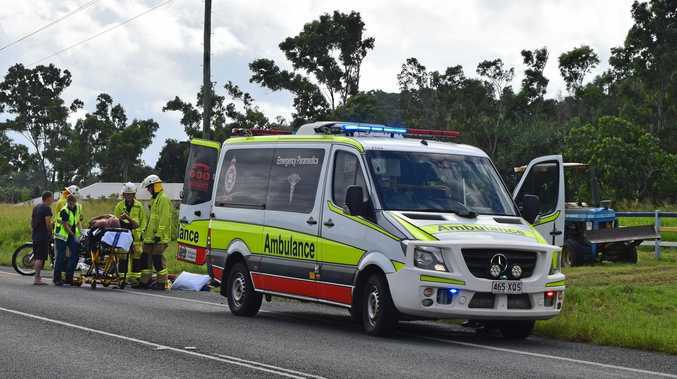 "Council is awaiting the outcome of requests for information from the applicant and other agencies as it processes applications for the project," a statement from the Fraser Coast Regional Council said. Information sessions were held in Maryborough earlier this year to inform the public about job opportunities at the solar farm. Member for Maryborough Bruce Saunders has also expressed his support for the project, saying it would bring jobs to the region.